Today’s Flash Back Friday comes from Episode 191, originally published in December 2013. 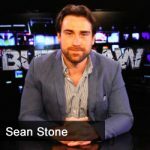 In this episode, Jason talks with producer Sean Stone about his television program, Buzzsaw. Sean, the son of Oilver Stone, partnered with Tyrel Ventura to create a better way to convey conspiracies compared to that of the mainstream media.